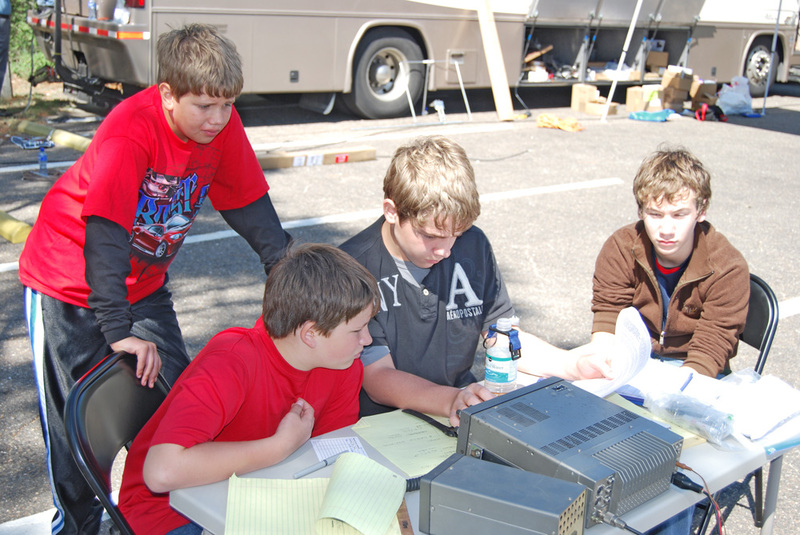 JOTA (2009) See local Scout youth get on the air with help from the Tallahassee Amateur Radio Society. Every third week of October the Boy Scouts of America and other Scouting organizations around the world participate in this all-weekend event. 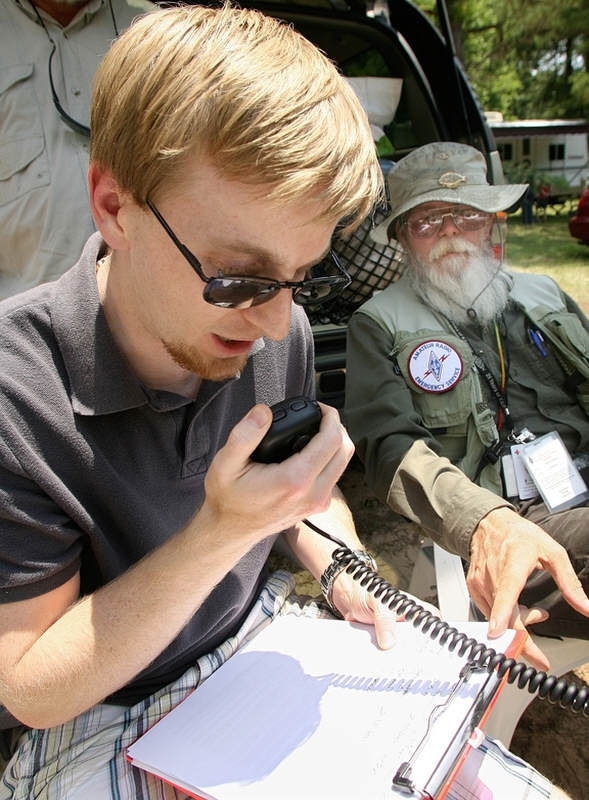 Scouts learn the fundamentals of radio and electronics as hams act as "Guides" to allow them to communicate on the air-waves. 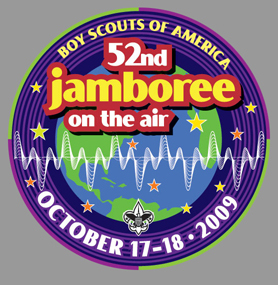 Emphasis is placed on fun as scouts from around the world meet each other in this Jamboree On The Air and earn badges too. Or visit the QRZ site for other details. A modest town of 300k. Home of the Florida state capitol, Florida State University, Florida A&M University, The National High Magnetics Lab, nearby Wakulla Springs, a hop, skip and a jump to the Gulf of Mexico and much more! QSL CARDS de K4ICY: For replies, visit the QRZ site for mailing address. Yaesu FT-7800R 2m/70cm transceiver, 50 watt max. Diamond SG7900A Super Gainer 62" dualband antenna with K-400 mount. 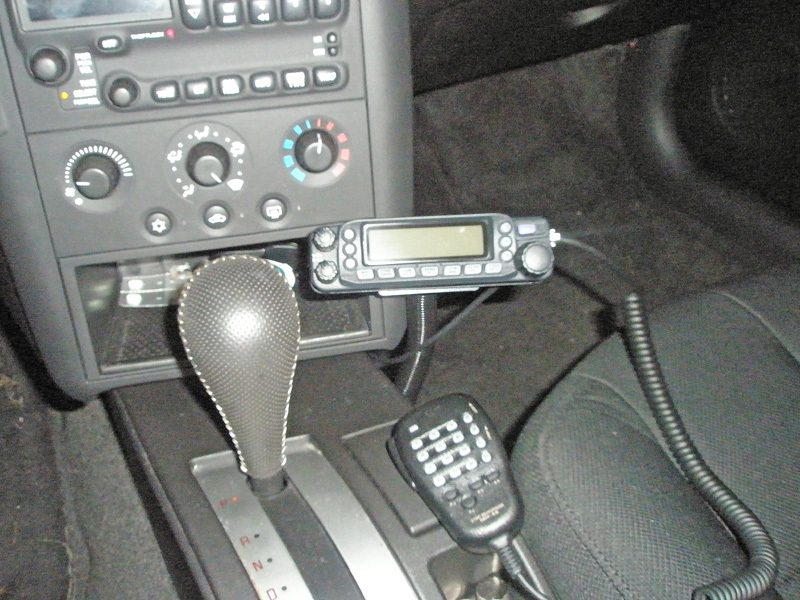 Icom T90-A, Icom T7-H Sport , And other HT's ready for EmComm service. 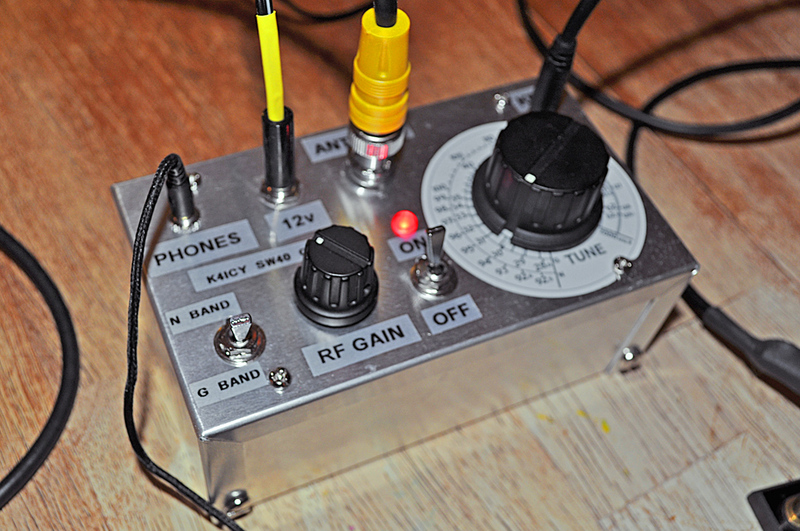 Go-Kit with AM/FM/Shortwave/Wx Rx. 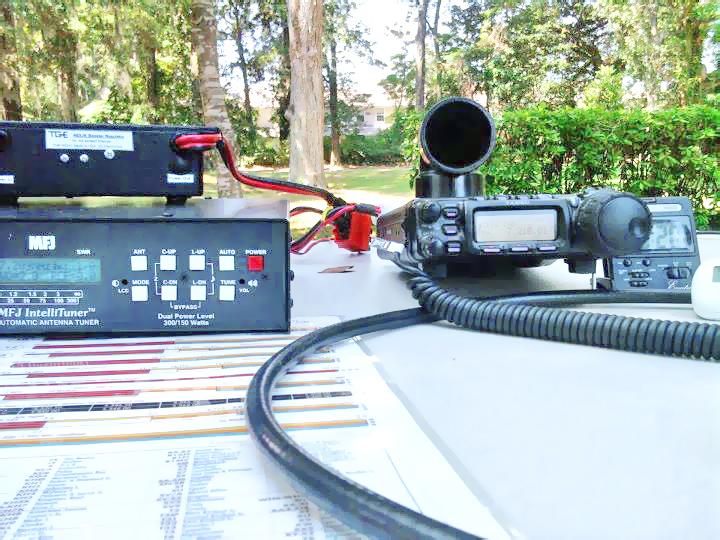 CB, FRS/GMRS Rx/Tx And other essential ham accessories. 12 v battery supply with assc. Power Pole accessories. Kit for installation of dipoles. Coax feedline and connectors. 35-55' Surplus Military Mast Support Kit. 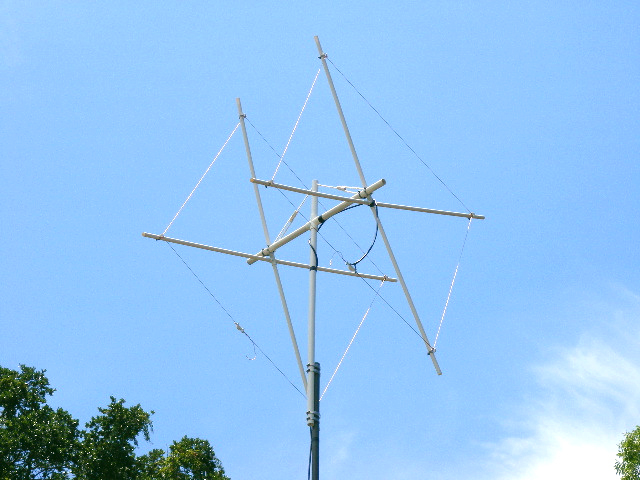 Roll-Up (Dual Band) J-Pole for 2m / 440mhz., 2m Moxon. 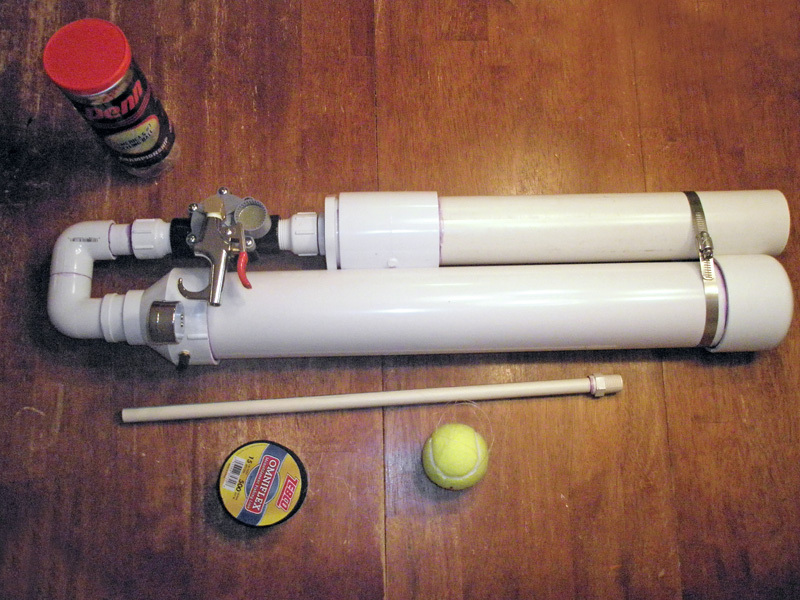 Pneumatic Tennis Ball Launcher for dipole installation and basically showing off. 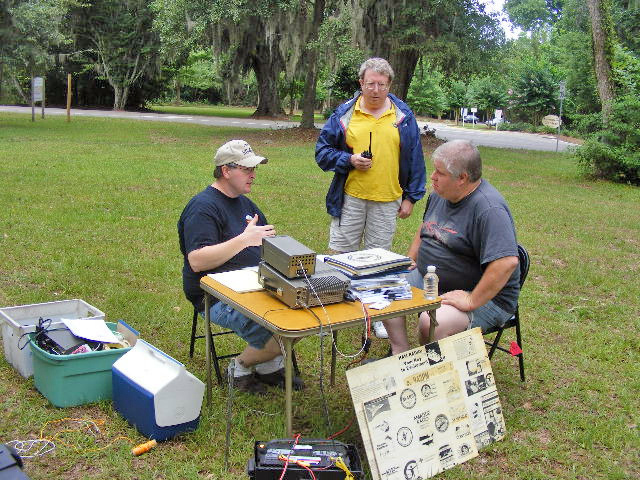 I was euchred in to being the coordinator / chairman of our club's ARRL Field Day event. I had a little over two weeks notice to find a location and enlist the troops and supplies. The event worked out pretty well with a modest turnout and I got to even showcase my new antenna launcher. 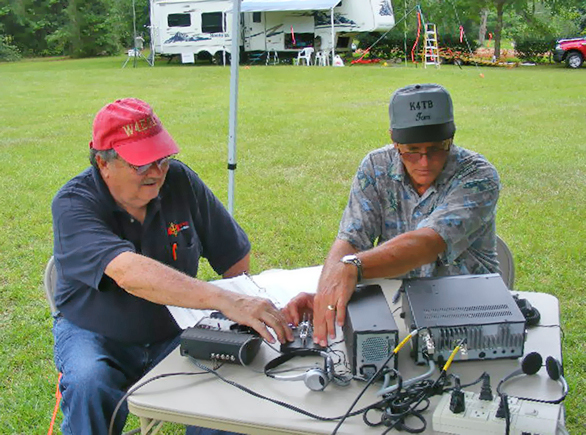 We were a class 3A installation with two Voice, a CW and UHF/VHF stations. Those whom attended, for the most part, enjoyed themselves and the work involved. The food was pretty good as well as our spirits. The ops were dedicated and pulled through the 24 hour contest shift. I was interviewed for a WCTV Channel 6 news spot on our Field Day activity as well as by the Tallahassee Democrat. If anything, Field Day was a great occasion to show our community what we as hams are all about and also great PR for the TARS club. Field Day, if anything was a proving ground for Murphy's Law and gave us a taste or a real emergency deployment. I performed my calling too well... It appears that I'll be the coordinator next year as well. I had a lot more time this year to prepare for the big day. It worked out very well and we had around 70 visitors! The food was wonderful: we dined on cola marinated BB-Q chicken. As well as a stellar lunch with custom wraps. We had the EDICTS unit from the Florida - State EOC and added a million dollars worth of equipment to the mix. A very impressive setup with robotic tracking satellite dishes, wi-fi and cell phone access. The Tallahassee area was the safest (communications wise) that it ever could be that day. We were a class 2A, with Voice, CW, and Satellite. We had a visit from Sen. Al Lawson and his entourage. And as for PR we had the local WTXLABC NewsChannel 27 pay a visit. As well as separate interview and news pieces from WCTW CBS Channel 6 Eyewitness News! The Tallahassee Democrat has an expose as well. As for Murphy's Law - It was very hot that day, near 100 degrees and no rain! There was an unusual absence and lack of seasoned operators - I myself had to be in charge of the Voice station. Not attending were the un-equated talents of Dave Huepel, Natalie Binder, Paul Wood and Steve Welsh. I've grew used to depending upon them over the last three wonderful Field Day adventures. Throw in a few "ill tempered seabass" that acted like they were entitled to a pampered ham-cation and three of four generators not functioning with the forth a propane guzzler that kept asking for more tanks and the Field Day event became the proving ground to a hams resilience that it was supposed to be. Oh, and the bees and spiders! But it was a very good Field Day! Antennas and stations went up well. The CW guys did an excellent job. And a few new hams got to shine: Micah KJ4AZW make his first 60+ HF contacts! I'll most likely be setting up 2011's as well - Bring it on! 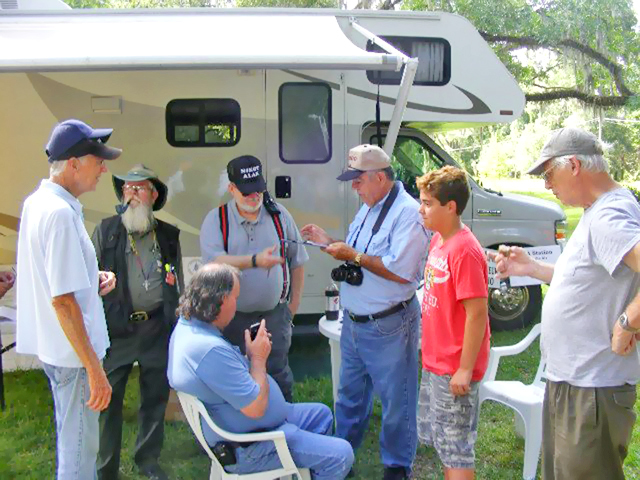 It was time once again for the pinnacle event in ham radio! The TARS Field Day weekend of June 25-26th, 2011 was a success! This year we deployed a full functional emergency operations setup. air-conditioned comfort to house our stations which included CW, Phone, and 6 meters. 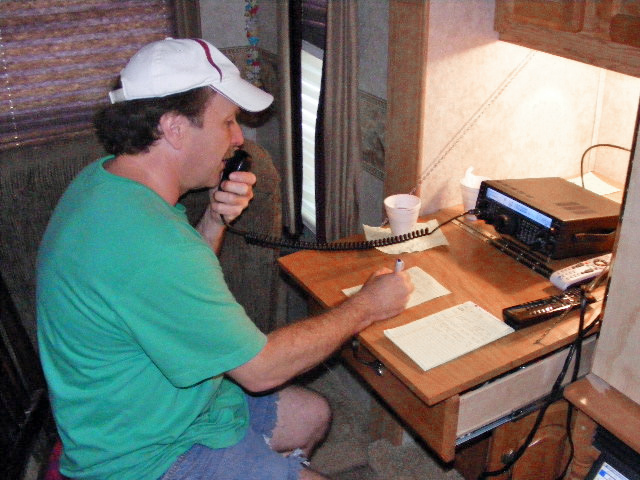 This was the "Phone" or "Voice" station set up in K4SBZ's RV. 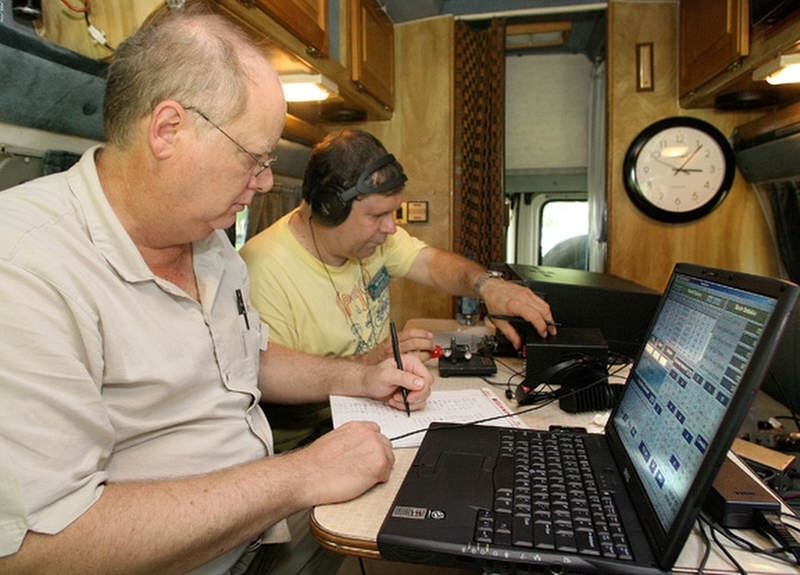 Across the field was the CW station set up in the TARS club portable operations trailer. Special commendation should be given to Nick Simoncini KI4FTK of FL State EM and his crew for deploying the EDICS unit for our Field Day. 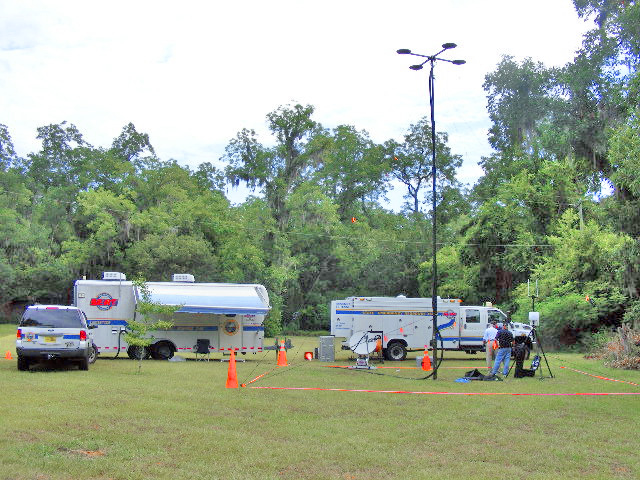 This unit is a portable logistics system for the state of Florida that would provide cell phone, Internet and other vital communications for all served agencies in the event of a disaster. It provided us with wi-fi service so that we could link our logging computers. Hungry hams go down to Norm's FD Grill ! Special thanks to Norm, K4GFD, for providing the burgers and dogs to a hungry Field Day crew and for pulling more than his share to help out. 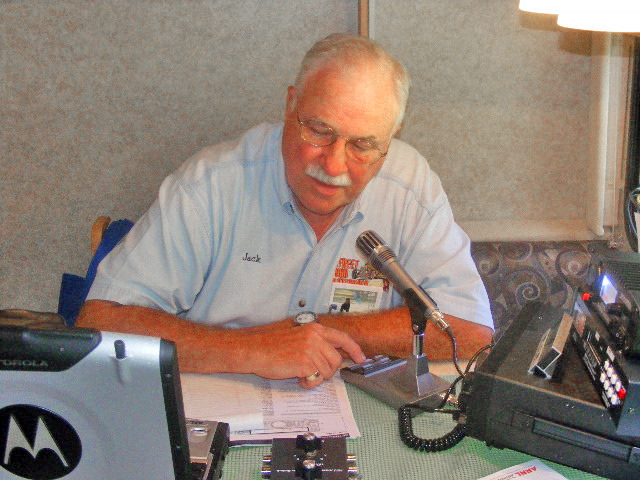 Norm also donated the use of his 5th Wheel RV for the operation of the 6m (VHF/UHF) station. 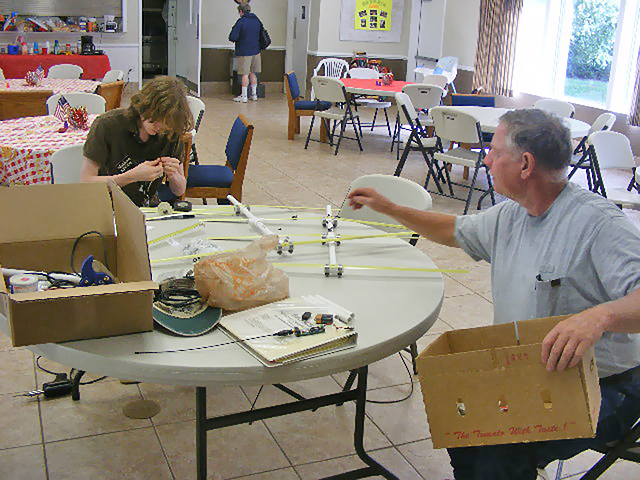 Saturday had an easy start with hams installing the myriad of antenna systems, including dipoles, a delta loop, and a 30' mast for Ivan Cook's 6m cubic-quad antenna. The mast for the 6m station was my military surplus camo-system setup that started out at 50 ft with every available ham pulling on the guy ropes. Field Day is undoubtedly a great way to prove and refine our skills and equipment. Ivan Cook W4FWL attacking one of them new fangled 6m openings. Ivan's home brew 6 meter band Cubic Quad. 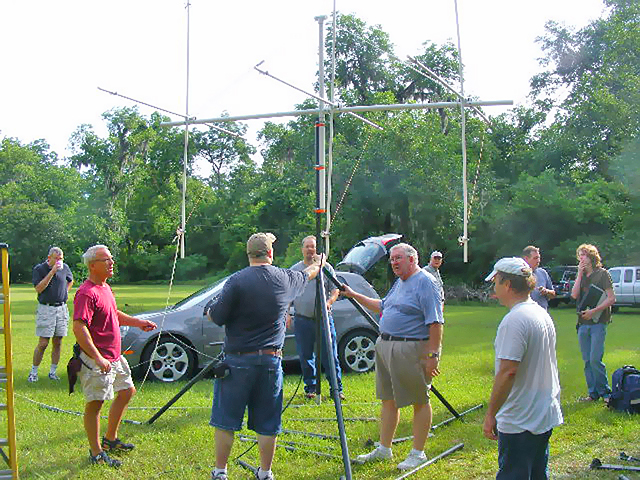 He'll be presenting this antenna to the club at the August TARS meeting. With Ivan's home brew 6m antenna and the mast, he was able to pull in an impressive 175+ 6m contacts coast-to-coast! The Phone and CW stations pulled their weight as well, bringing the total number of QSO's to around 700 with a point total of over 1100! Jack managing a pileup. Jerry copying code. The weather was perfect with very little rain. The chilled stations were a welcome respite from the mid 90's+ temps. There was a VE administered test session where we produced two new Generals and two Extras. Afterwards, for education credit, we constructed a dual-band dipole for 80 and 40 meters and it was erected for use at the Phone station. We got at least two new Generals and an Extra. Go Brady KJ4YSP! 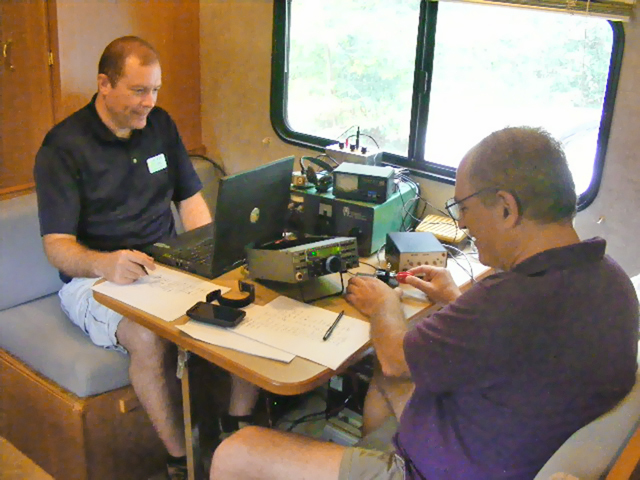 Richard, W1AAO, and Lois, W4MIT, demonstrated PSK31 and SSTV modes. Dinner was well-received with grilled fare by Norm, K4GFD, and we went into the night with the contest. There was very little or no sleep to be had as we pulled in the QSOs at an easy pace. Brady, KJ4YSP, got to sit at the helm for the first time to work HF. The Get On The Air (GOTA) station was quite busy the entire day! 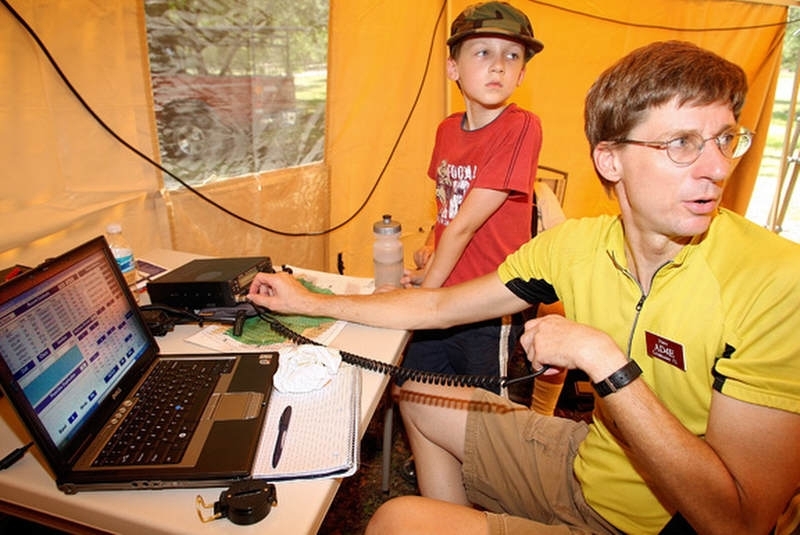 James Ryder, KG4YZM, was there to guide a scout or two through the requirements to earn the Radio merit badge, learning about ham radio in the process. 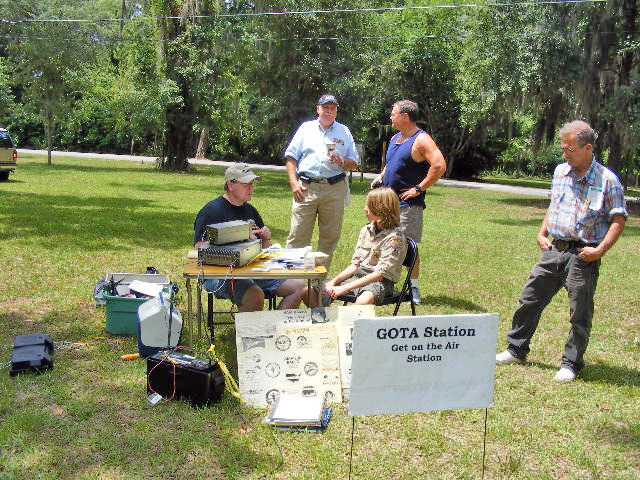 John Decoteau, KG4GXT operated the GOTA station with a very active turnout of non-hams and inexperienced ones looking to catch up. The whole event went without any major hitches and everyone left feeling good about the experience. The new location at the church was without a doubt a good move with ample space, good facilities and peace of mind to allow us the means to setup and operate. My sincere thanks to all the hams that sacrificed their time, equipment and talent to make this event a success. Our Field Day this year was a improvement and success! 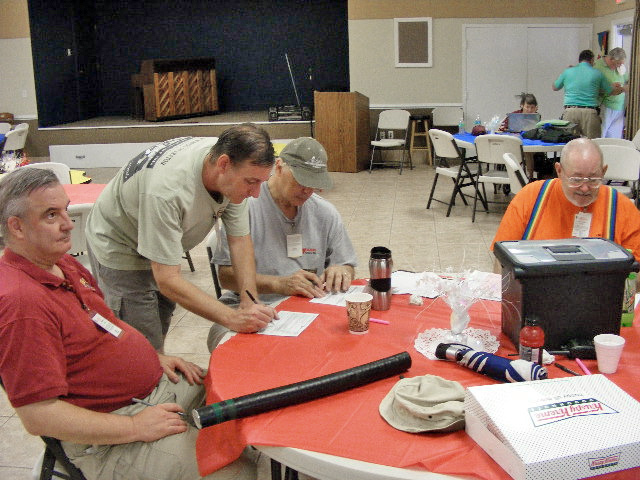 Field Day in 2012, June 23rd-24th (Always the Fourth Weekend in June) in Tallahassee, Florida at St. Francis of Assisi Episcopal. This was the second and last year for the event at this location as St. Francis will be sadly closing down. TARS was so very grateful for the gracious use of their facilities. Saturday was a beautiful day, and was overcast from the afternoon on out as tropical storm Debbie was looming in the Gulf. We had nearly 70 attendees from young to old and even our good friend Junior KG4ITD graced us with his presence. 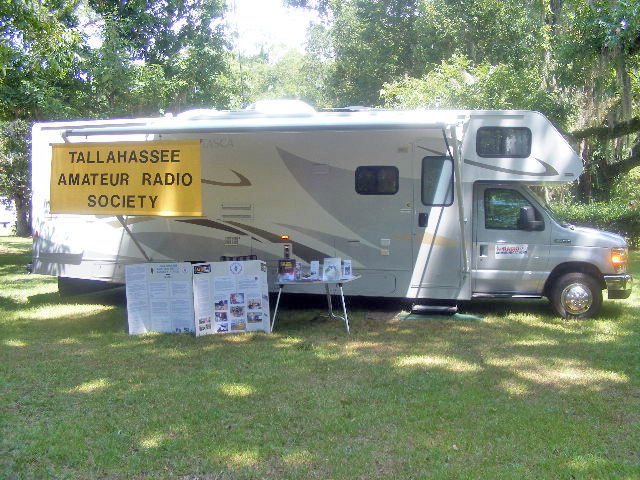 This year we were a 2A station (NFL) With air-conditioned RV's set up for CW, Phone, UHF/VHF as well as ground stations for Satellite, GOTA (Get On The Air), and yes - Solar! The meals were great with food provided by Norm K4GFD and by SUBWAY. There was a test session where three new prospective hams passed their Technician, and one got his Extra. 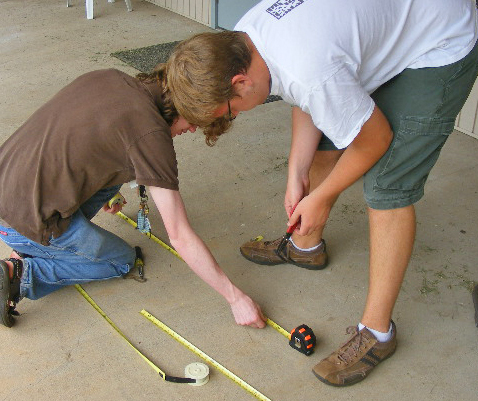 Show here was the antenna class put on for education points where three directional antennas were built from scratch. Soldering was also taught by default. 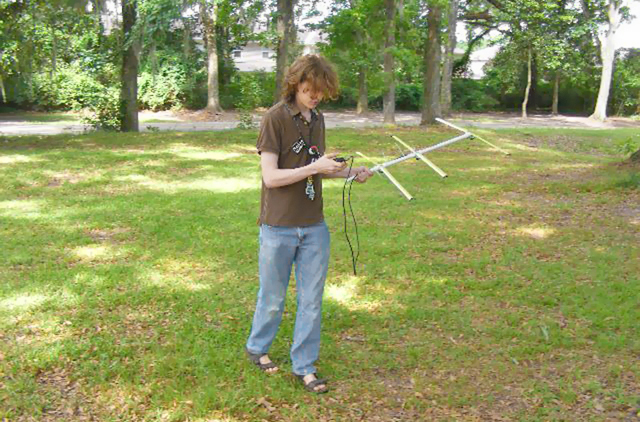 The antennas were promptly employed in a fox-hunt (direction finding) where several attendees throughout the day tried their luck at finding a hidden transmitter. A ham license was not required for the fox-hunt and valuable search and rescue skill were taught. 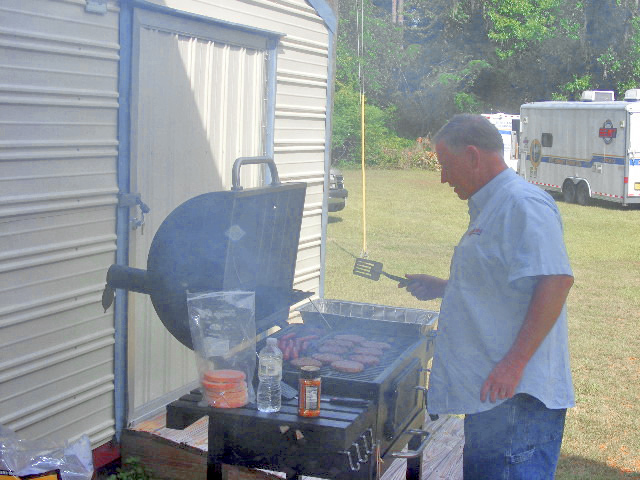 The RV's were installed the night before and the station captains stayed the night prior. The TARS trailer was retro-fitted throughout the morning with the emergency communications equipment previously set up in our last vehicle. 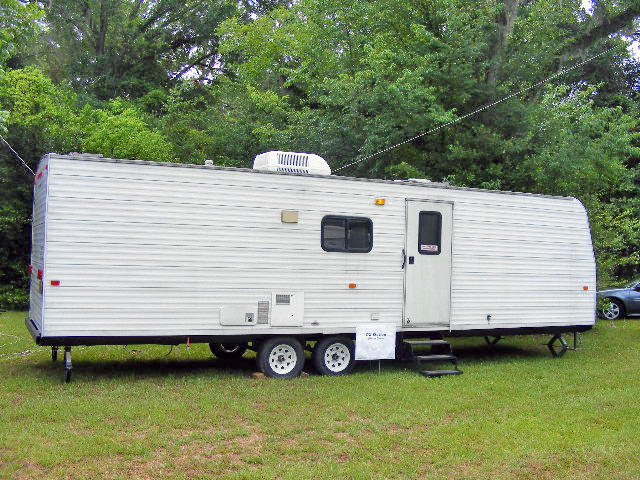 Now, during an event, there is room for up to three stations to operate in the field, including adequate shelter. The priority for the morning was installation of the many antennas we were to use. The CW station had an end-fed dipole and a loop, there was a dipole for the digital (PSK) station, a beam for the VHF/UHF station, a Carolina Windom for the phone station, and the verticals and special log-periodics for the satellite and solar special stations. Also a dipole for the GOTA. In fact, there were additional antennas for other pop-up stations like the 2m installation. 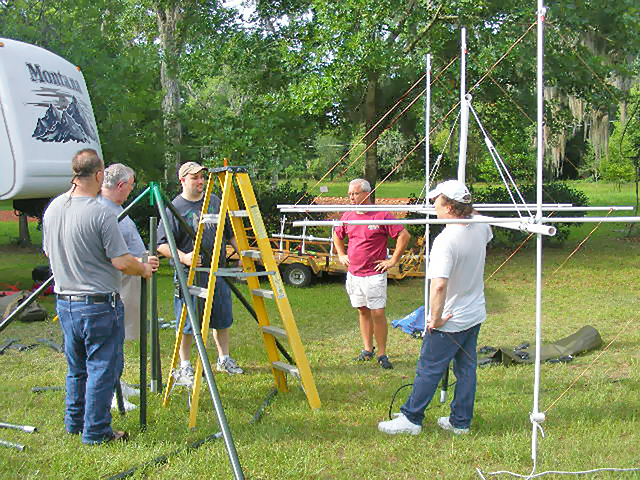 A team-effort was instrumental in installing this home-brew 6m, three-element cubic-quad. This installation required several people to install. It used three sets of surplus military camouflage support-sections donated from different hams. Ivan W4FWL brought a whopper of a cubic-quad this year, custom made from PVC pipe sections and stranded copper wire. Unfortunately, there were very few 6m contacts this year - due to the magic propagation, or lack there of that was to be expected. The antenna, once installed read an SWR of 1:1. Way to go Ivan! It was a good exercise for the type of deployment we might see during a disaster. The 6m station, regardless of long-distance propagation would have superior operation for regional coverage during an emergency event. We, however, did manage to make a lot of often rare satellite contacts! 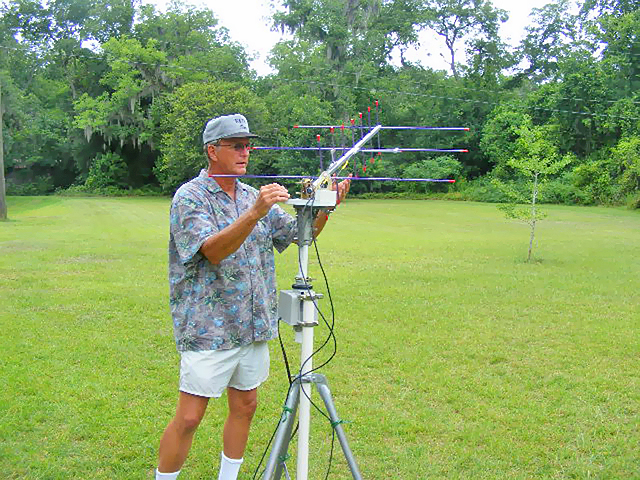 Tom Brooks K4TB with his custom, motorized-tracked dual-polarized satellite station antenna. 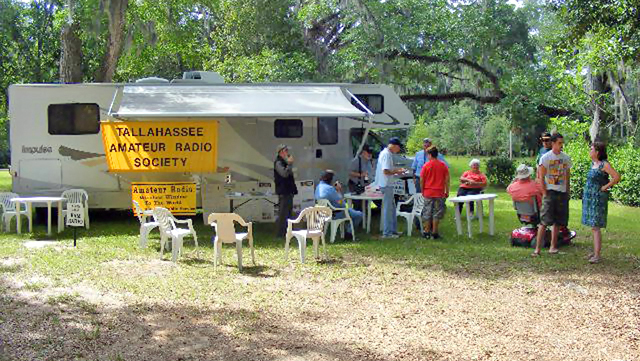 There were at least three stations on the grounds that did not include the main contest stations, which gave ample opportunity for visitors to get on the air. The many visitors to the station were impressed. We were graced by a few elected officials and a higher-up with the state and county EOC's. We had a number of your visit and participate, as well as a few new hams that didn't even have their tickets yet. Information was plentiful and cordial, thanks to our enthusiastic PIO specialist and the many "Elmers" on hand. Seated was Junior KG4ITD, a legendary ham voted #1 911 call specialist for the state of Florida in 2011. Junior lives in a nearby county and is often at the ready to provide friendly correspondence to anyone that gets on the air... oh... and he happens to be seeing-impaired, not and issue to Junior. 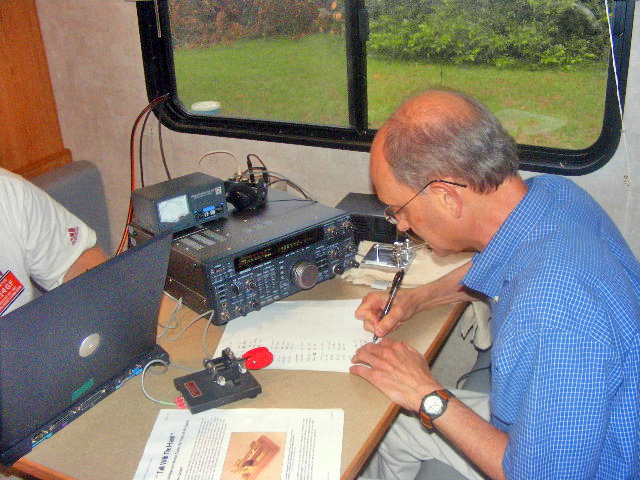 The ARRL 2012 Field Day contest was underway at 2pm and would last at least 24 more hours! This year TARS under the call of K4TLH would break our record for the past few years. Your's truly, Mike K4ICY, got to log at the CW station..
...and then pulled off a two and a half hour pile-up of power, dominating 14.305 as over 200 stations rang in one after another. I went non-stop and had to have drinks handed to me like a marathon runner. I became a true robotic contester with a system so fast-paced that the logger could not keep up! I had to go back later to find a dozen missed stations I wrote down. Throw in there a few European DX contacts and I can tell you that the contest was plentiful for TARS this year! 3am... still going. Smoke and sparks!!! Norm's 15kw generator threw a rod! Oil on the ground and the CW and digital stations were out of commission. We had already passed our record, so no big deal. It was better for the generator to die at a fun event like Field Day than in the throws of a real emergency. Sunday rolled in with an oncoming tropical storm! Fortunately for us, Debbie has turned a hard right for Tampa, but some limbs were knocked down at the site, and under the circumstances, the news crew which was scheduled to film our activities had to focus on the flooding and damage in the adjacent coastal counties. Sunday was non-eventful, but the contacts continued to roll in and a few more hams got to get on the air to try their craft at contesting. For me as the TARS Field Day coordinator and chairman, I can say that this year's event was a success for our club. I can only give a special thanks to the network of charitable individuals whom gave their time, skills, and much money, I might add to assist in the effort. Without the cooks, the station captains, the Elmer's and support crew, the TARS Field Day would not have been a success. My work really stopped the day before the event as this was really an equal-opportunity party for all the club members and hams in our area. I have no doubt that if a hurricane of great magnitude were to strike, or some other God-forsaken calamity were to place the Red Cross, the Sheriff's department or any of our other served agencies in communications risk, TARS and our Capital Area ARES would be ready and well-equipped! See you at Field Day next year! 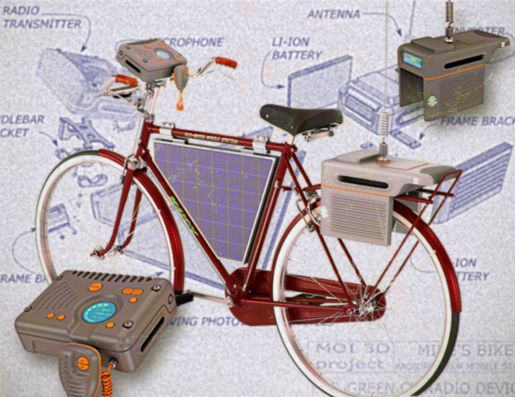 Below is a very realistic 3D Rendition of a theoretical solar-powered Field Day station. 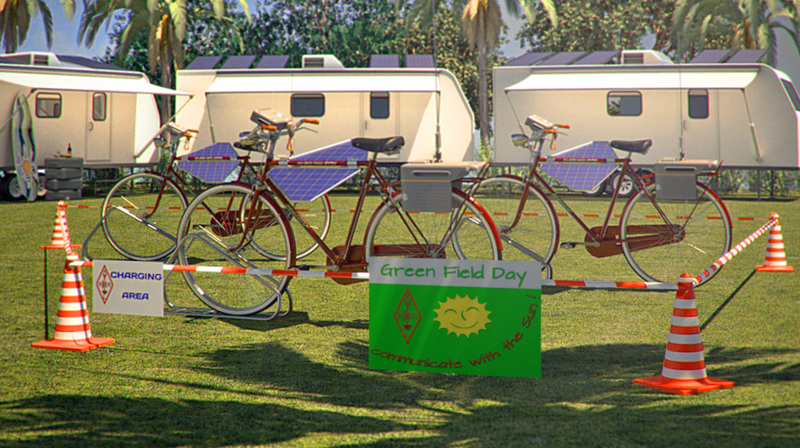 "Green Field Day" operating on completely solar power and advanced Lithium-Ion storage technology!